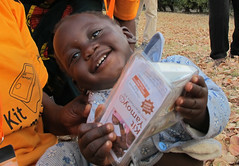 Can you help us increase our impact beyond Zambia? As the scale-up gets underway in Zambia we are able to put more resources into the globalisation of our work. The first step in the process is to gather key information about the countries of Sub-Saharan Africa and we need your help to do this. Please click on the country you know about and follow the blue link in the side panel to provide any of the following information. You don’t need to know the answers to all of these questions to contribute. If you can answer just one or two that would help. Is ORS Manufactured in the country? How many manufacturers of ORS are there? Is Zinc classified as an ‘over the counter’ medicine like paracetamol? Is is government policy to engage the private sector in the improvement of public health? Is the private sector’s role acknowledged in policy documents or the 5-year Plan of the Ministry of Health? Is increased access to ORS and Zinc mentioned in the 5-year Plan of the Ministry of Health? Do you have any other relevant information or insights you can share? Our aim is to have established Kit Yamoyo in the market by mid 2018. Please help us complete the information we need on Malawi. Click here to see the information we have and to add your knowledge. Please help us complete the information we need on Ehiopia. Please help us complete the information we need on Nigeria. Please help us complete the information we need on Ghana. Please help us complete the information we need on Cormoros. Please help us complete the information we need on Gabon. Please help us complete the information we need on Namibia. Please help us complete the information we need on Swaziland. Please help us complete the information we need on Lesotho. Please help us complete the information we need on Mauritania. Please help us complete the information we need on Liberia. Please help us complete the information we need on Eritrea. Please help us complete the information we need on Togo. Please help us complete the information we need on the Central African Republic. Please help us complete the information we need on Sudan. Please help us complete the information we need on Benin. Please help us complete the information we need on the Botswana. Please help us complete the information we need on the Democratic Republic of Congo. Please help us complete the information we need on Rwanda. Please help us complete the information we need on Senegal. Please help us complete the information we need on Burundi. Please help us complete the information we need on Zimbabwe. Please help us complete the information we need on Sierra Leone. Please help us complete the information we need on Mali. Please help us complete the information we need on Guinea. Please help us complete the information we need on Madagascar. Please help us complete the information we need on Kenya. Please help us complete the information we need on Chad. 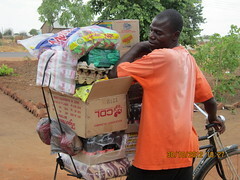 Please help us complete the information we need on Burkina Faso. Please help us complete the information we need on Mozambique. Please help us complete the information we need on Cote d'Ivoire. Please help us complete the information we need on Cameroon. Please help us complete the information we need on Uganda. Please help us complete the information we need on South Africa. Please help us complete the information we need on Tanzania. Please help us complete the information we need on Niger. Please help us complete the information we need on the Congo. Please help us complete the information we need on the Angola. Please help us complete the information we need on South Sudan. Please help us complete the information we need on Somalia. Please help us complete the information we need on Western Sahara. Please help us complete the information we need on Guinea Bissau. Please help us complete the information we need on Equatorial Guinea. Please help us complete the information we need on The Gambia.